When unforeseen squalls send cooling wind and rain your way, Sitka Gear's Nimbus Jacket has your back. Simple, light and highly packable, the Nimbus WINDSTOPPER® Active Shell is completely windproof and water resistant. Stored easily in the smallest of packs or in the glovebox of your truck, the Nimbus is the perfect jacket to block windchill and light moisture in unpredicatable conditions. When unforeseen squalls send cooling wind and rain your way, Sitka Gear &apos;s Nimbus Jacket has your back. 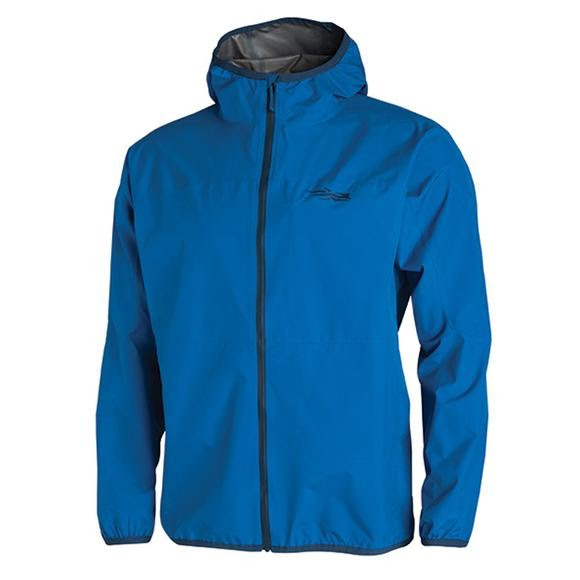 Simple, light and highly packable, the Nimbus WINDSTOPPER® Active Shell is completely windproof and water resistant. Stored easily in the smallest of packs or in the glovebox of your truck, the Nimbus is the perfect jacket to block windchill and light moisture in unpredicatable conditions. The specially engineered WindStopper membrane not only provides full protection from the wind with a 0 CFM rating, it also stabilizes the microclimate close to the skin by allowing excess moisture to escape while preventing unwanted moisture from coming back in. Emphasis is placed on breathability.